All I need is like 2 minutes of your undivided attention. 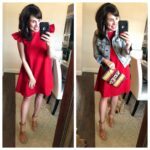 I’ve got three items that are all incredible deals that y’all need to know about, so I thought they deserved their own post! You already know about the my favorite v neck (it comes in 10 colors) and I’ve shown the earrings before too (mine are the red floral). The tee and the earrings are great deals, and I highly recommend both. But the stars of today’s post are new to the blog, and I’m going to highlight each of them separately. 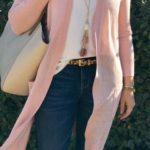 Today we are talking about the long cardigan, the necklace, and the leopard belt. Let’s start with the cardigan. First of all, it’s ONLY $25, and it qualifies for prime and free returns. 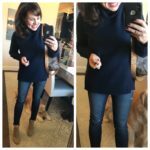 I’m wearing it in camel, but it comes in 5 additional colors (although only black and charcoal grey are currently stocked). And I’m not the only one, because it has fantastic reviews. This is a thin sweater, so it will be perfect all the way into Spring. And since it’s longer, it’s going to be great for you taller ladies. It’s also obviously long enough to cover our backsides while wearing leggings (these are my new favorites). And it’s a streamlined silhouette, so it’s not boxy at all. In fact, I found it to be figure flattering. And great news, although I haven’t washed it yet, several reviewers said that the cardi “washes and wears” wonderfully. For size reference: I’m wearing a medium in the tee, a small in the cardi, and a 27 in the jeans. Next, you need this necklace. Now listen up, because this is important. Right now there are only 100 necklaces, so act fast if you think you want one! I’ve had so many requests for The Holt necklace to come back, but it was just a one time deal with the purpose of raising money for precious Holt (my cousin’s son). So many of you that bought The Holt have requested that they come back because you loved yours so much that you now wanted to give them as gifts. On the other side, others wanted them to come back because you bought one as a gift and then you wanted one for yourself. 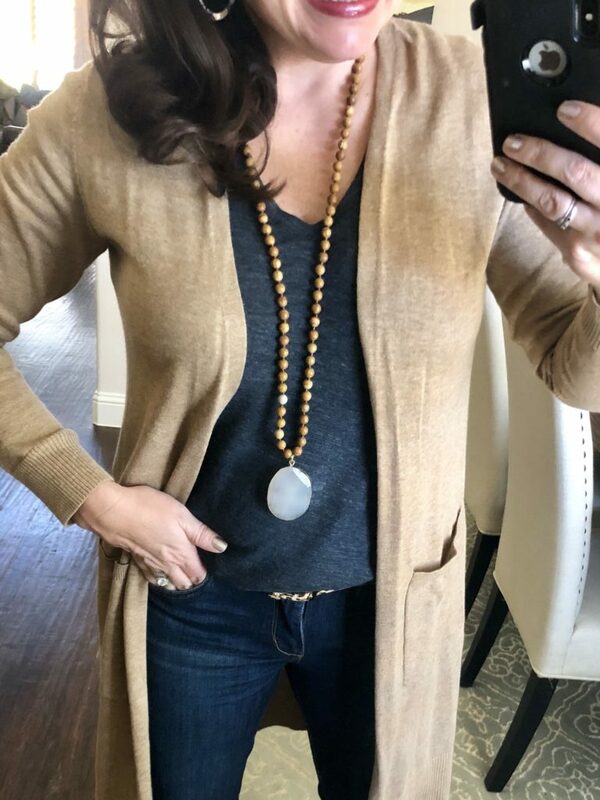 THIS NECKLACE is very similar to the Holt necklace in that it’s a great neutral combo with interesting beads and a gorgeous stone pendant. 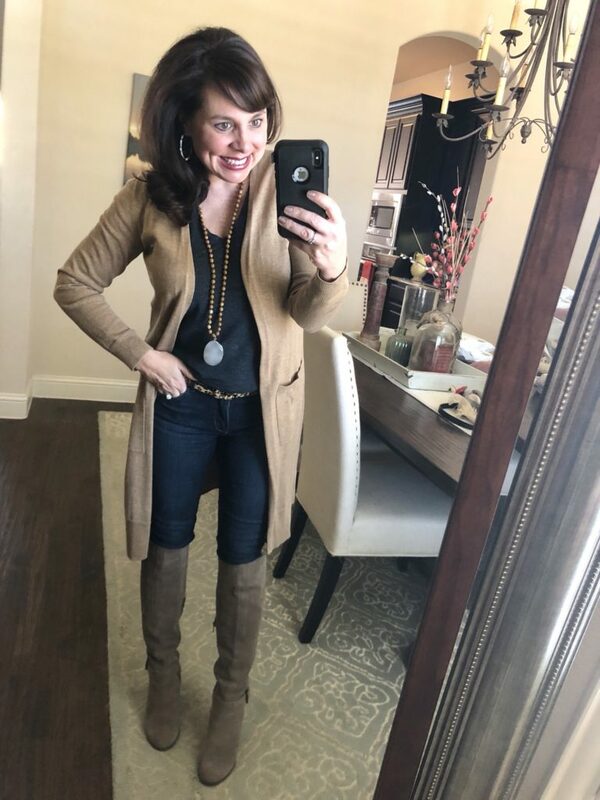 I would say that this new necklace is a spring and summer version of the Holt necklace, although I’ve styled it here with a winter outfit and I love it! So, I guess it’s really a year round necklace! The necklace is 36″ of hand knotted Venus Jasper beads, and the pendant is gold edged quartz. With the code JASPER25, you can grab this necklace for $25 (reg. price $48). And check this out, y’all! I recommended a leopard belt earlier this month, even though I hadn’t seen it in person. I highlighted it because the reviews were great, and the leopard belt that I almost always wear is sold out, so I needed an alternative. Well, my friend Karla ordered it, and she sent me these pictures over the weekend! I couldn’t believe it! This belt is ONLY $12.99 and it’s awesome! And look how nice the packaging is! I’m so impressed with all of it. Here’s the entire look again. And since I have several Amazon items in this post, I wanted to tell you about a couple of more items that are in my cart right now, in case you want to add them to your cart too! 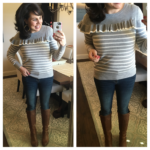 This camel v neck sweater is just $20! 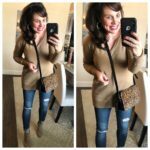 I love a good camel sweater, and this one looks awesome and comes in 12 additional colors if camel isn’t your thing (including a great pink for Valentine’s Day). I’m also getting this motion tech fleece hoodie in the light grey. Sound off in the comments if there are other things I need to put in my cart for my February Amazon haul! And in closing, I thought I would share just a couple of comments from y’all that I’ve received since y’all have now received items you ordered from my first Amazon haul. First of all, y’all love the leggings. Like, you’re obsessed. But I knew y’all would be, BECAUSE YOU ARE MY PEOPLE. Still, I love getting y’alls stamp of approval on things after I recommend them! Click HERE to see me in the leggings. Jill, I’m so pleased that you no longer have to cuss when you reach in your bag! Hahaha! I got the beige Style 3, size Medium for my Savannah tote from Barrington. And not only does it organize all my things perfectly, it also gives a nice structure to the bag. There are tons of colors and sizes to choose from. It’s made of a thick and sturdy felt, and you assemble it with the velcro felt inserts to make the compartments. 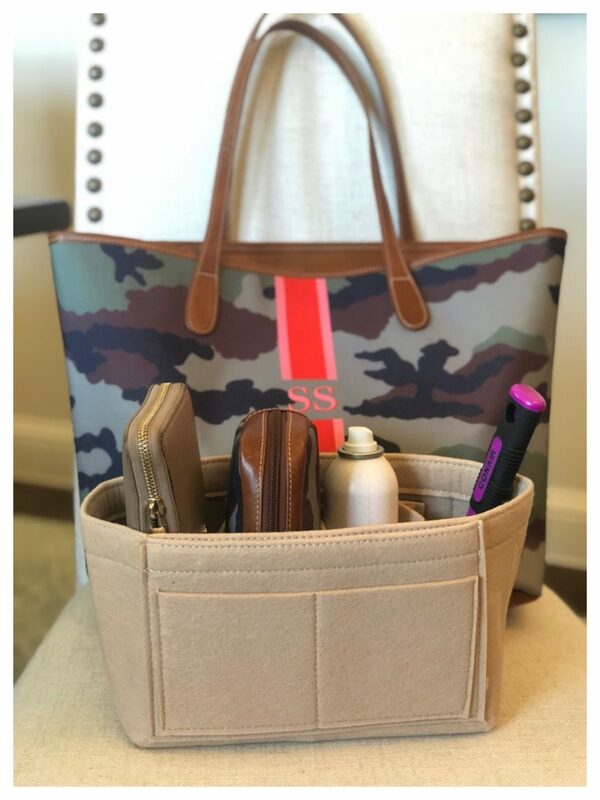 As you can see, this one easily holds my wallet, my make up bag, hairspray, a brush, and my sunglasses (which you can’t see). My phone could easily slip in to one of the front compartments. Okay, that’s it for today’s post! Told you, SHORT AND SWEET! And seriously…go ahead and throw the cardi and the leopard belt in your Amazon cart. You won’t be disappointed. January Amazon Haul! AMAZING Finds! My First Ever Amazon Haul! 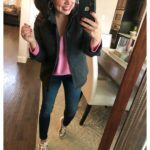 Spring Transition Pieces and Valentine’s Inspiration! 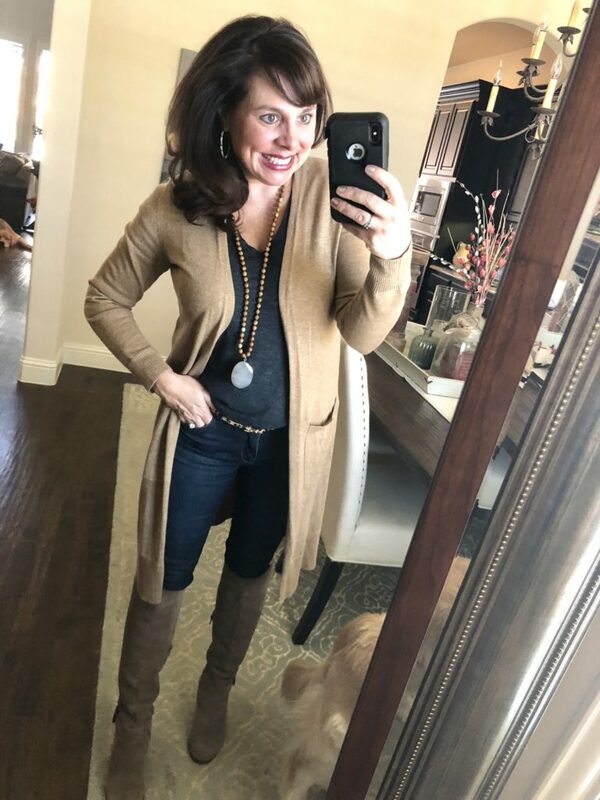 I have the Holt necklace but love this new one too! The link for the fleece hoodie isn’t working for me? Not sure if it’s just me but thought I’d let you know. Happy Monday! How cute is this?! I need that belt!! Okay, I seriously love that leopard bag, the necklace, and that genius bag insert! What a great lineup!! Hi Sheaffer – what size are you wearing in the tee and cardigan? Thanks so much! Hi Sheaffer! Just curious & sorry if I’ve missed it – do you have a t-shirt that you love/recommend that isn’t a V-neck? Love that belt!! Thank you! What size belt are you wearing? Super cute outfit! Hi Sheaffer – would you order the small or medium in the belt? 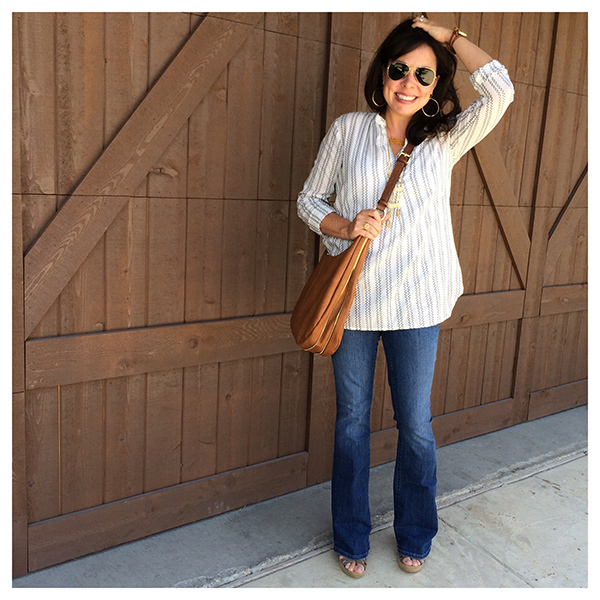 Have you reviewed those jeans before? I LOVE that leopard belt! So cute, Sheaffer! All of the Amazon Essentials cardigans, v-necks etc. are amazing! I have multicolours in most of them. I can’t believe what good quality they are for the price. I bought the tote insert for my tote that I take on flights for our Vegas trip over New Years. My husband couldn’t be happier! When he asks for something I can find it right away instead of pulling EVERYTHING out to find it! Thank you for the recommendation and my husband thanks you too! How’d I miss this post yesterday??! Loving this whole look!!! I need that insert in my life! Those are the best tees! And I need that leopard belt now! Outfit perfection!!! You look so darling! and I need that tote organizer!